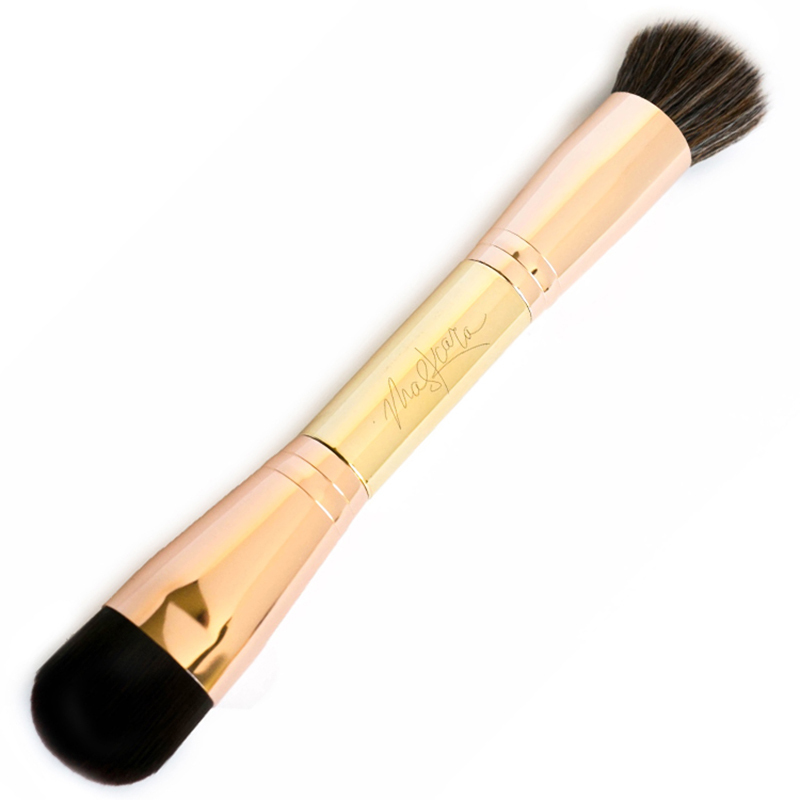 The Power Powder brush is uniquely designed for setting your makeup application. What it is: The Power Powder brush is uniquely designed for setting your makeup application. How you use it: Use the curved side for applying powder to your highlight areas and the angledside for applying powder to your contour areas. Why it’s better: The hairs on this brush are soft and dense, perfect for pressing powder into your skin. Double-ended brushes save space, and the unique shapes make it easy to apply precision powder to only the areas you need them.